What Are the Benefits of Gas Heating? Gas heating systems offer energy efficient, reliable, consistent warmth for homes and businesses across the U.S. Gas heating is cost effective, costing half the price of electric heating, depending on utility costs and heating unit efficiency. Gas heating is typically less expensive than electric heating – actual savings depends on fuel costs in your area and the efficiency of your gas heater. Natural gas heating costs less than electricity in most areas of the country. Purchasing a new, high efficiency gas heating system may qualify you to receive rebates from your local gas utility provider. Compared to old models, using new natural gas appliances can halve your energy bill, depending on individual unit efficiency ratings! Compared to electric heating, a gas furnace can produce air temperatures up to 25 degrees warmer. 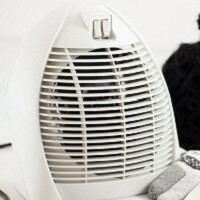 The average temperature produced by a gas heating system delivered to your living spaces is between 110 and 120 degrees. Using natural gas to heat your home or business offers reliability unmatched by electricity. Natural gas supply pipelines are installed underground, protecting them from the weather and accidents above ground that lead to electrical outages. If you utilize gas heating, your heating system will still be able to heat your home in the event of an electrical outage – this reliable heating fuel can keep your family safe and business operational in the event of severe winter weather. Natural gas heat is also more reliable because the pipeline supplies gas directly to your home – if you use oil or propane, you must wait for a truck to deliver fuel, which may not always be convenient or possible when you are out of fuel. With natural gas, your home or business has constant access to a heating fuel source. Not only is gas fuel reliable, but gas furnaces are, too! 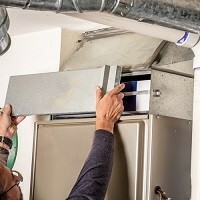 With proper maintenance, a natural gas furnace can be expected to serve your home or business for around 20 years. Gas boilers boast a longer expected service life compared to their electric counterparts – gas boilers have a service life expectancy of around 15 years, compared to 8 to 10 years for an electric boiler. Natural gas is more efficient than electricity production. Electrical production consumes a great amount of energy, with only about 30 percent of the energy used to produce electricity reaching your home – that’s a 70 percent loss of energy just in electricity’s production. Alternatively, 90 percent of the natural gas entering the utility system reaches your home, limiting the loss to only 10 percent. Natural gas homes produce less negative impacts to the environment – natural gas homes produce up to 50 percent less than homes operating on electricity only. Compared to other heating fuels, natural gas offers a healthier option for your household. Burning of natural gas by a heating system produces minimal sulfur dioxide, airborne particulates, and dissolved solids, which can negatively impact the health of your loved ones – people and pets. With a well-maintained, properly-operating heating system, natural gas generates nearly no carbon monoxide.